Singer-songwriter Taylor Swift will perform at an AT&T-sponsored DirecTV event in Houston the night before the Super Bowl. After a decade-long string of pop hits, 10 Grammy awards and 82 million Twitter followers, Taylor Swift probably doesn’t need much help to become more popular. But with a new exclusive video channel on AT&T’s various video platforms, the star singer-songwriter may give the carrier’s profile a much needed lift. AT&T’s strategy to move beyond its shrinking telecom roots largely relies on getting more people to subscribe—whether for cable, satellite, or Internet connections— so they can watch video (and the ads that come with them). After spending $49 billion to buy DirecTV and working on acquiring Time Warner for another $109 billion, it’s no small bet. But there are legions of competing video services, channels, platforms and apps, making it tougher than ever for AT&T to stand out. Its trying to stand out with its new DirecTV Now 100-channel Internet service that costs only $35 a month, less than half what a similar cable TV package costs. But once that initial promotional pricing expires, DirecTV Now may not have enough pull on its own to lure the 20 million households (and growing) that have already cut the pay TV cord. So AT&T is also going the exclusivity route, making talent and development deals with movie star Reese Witherspoon, former News Corp president Peter Chernin and, of course, Swift. The cord cutter demographic skews younger, which could help explain the deal with Swift. 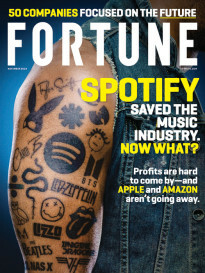 Apple (aapl) seems to be have some success with a similar strategy in the music business to bolster its streaming music service. 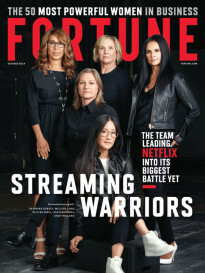 And Netflix (nflx) and Amazon (amzn) are pouring billions of dollars into exclusive traditional movies and TV shows to attract customers to their services that, in some ways, compete with AT&T’s efforts. AT&T’s (t) deal with Taylor Swift involves an on demand video service, dubbed Taylor Swift Now. Available via the DirecTV Now app, AT&T’s cable-based U-verse service and for satellite viewers of regular DirecTV, the Swiftian service offers behind the scenes clips, commentary and special videos along with a healthy helping of all of the singer’s previously released oeuvre.